The whole set is up! Go take a look at it, and marvel at Wizards’ ability to keep churning these things out. I’m certainly impressed, and humble too. I was totally, ridiculously wrong about Arcbound Phoenix, and I can only aspire to do better for you this time around. That said, let’s dive into the mythics and see if there’s preorder value to be had! 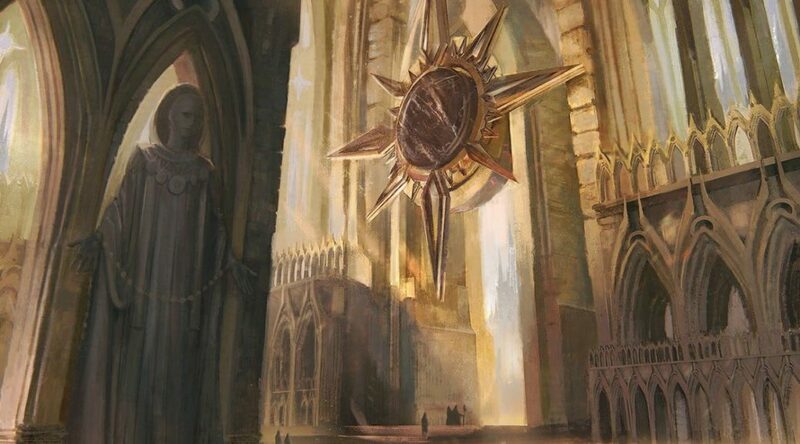 Domri 2.0 starts at five and can go right up to six loyalty, if you have a cheap creature to play to defend them. That’s pretty good, but the upgraded Divination effect really has my attention: Lead the Stampede is a very good card, and while Domri’s an extra mana, it’s quite worth it. I wouldn’t buy Domri at $20, but I’m listening at $10. This looks like a set of abilities RG really wants in Commander, and there aren’t many planeswalkers who have a non-ultimate that says to draw your two best of your top 4. This is a LOT of stuff on one card for a mere five mana. We’ve got a 5/4 flash flying Angel, a card that is just plain good by itself. We’ve also got ‘You don’t go below 1 life this turn’ on this, a wonderful touch given that for six mana and an exile from the graveyard, you turn your life total to 10. That’s just delicious upside. It’s relevant to note that this flashes in to block a Phoenix quite nicely, though they’re often on the attack before turn five. Lyra Dawnbringer is likely just better in a vacuum, but they do play nice together! Lyra hit some impressive heights, and this is a bit more niche. I suspect this price will just trickle downwards, and level out at $7ish. Amusing. Don’t buy this. Yes, it’s three blockers for five mana, but it’s a delay at best. This will be lucky to not be bulk, even if hexproof is a really wonderful ability right now. There’s a chance that this is a fantastic card, given that it’s 6/6 for five, but we have that at uncommon with Crested Herdcaller. You need the Ooze to live two turns and pump more mana into it to beat what the Herdcaller does, and with a four-mana wrath entering Standard, I’m not so sure. On the other hand, it’s an Ooze lord and certain Commander decks are going to go nuts. This will fall a little but not too far. A 4/4 flying trample for four mana. Is that more amazing than Doom Whisperer at five? How about if you can get that 4/4 on turn three, given even one damage to your opponent? Let’s add some aggressive pinging in there too! We have a few comparables here, and none of them are reassuring to this Dragon. Demanding Dragon, anyone? The pinging is cute but expensive and slow, and why does a huge dragon care about the measly two-toughness things? Before you ask, yes, this is a huge upgrade on Colossal Might. Plus, we’re getting Collision in this set, making huge flyers a bit more suspect. I fear this Dragon is doomed to the bulk bin. She’s very good against tokens, and has the ability to stop the endless value grind that Golgari decks can currently do…but is that enough? She does offer inevitability if she’s not stopped, but we can see that the wraths are real. 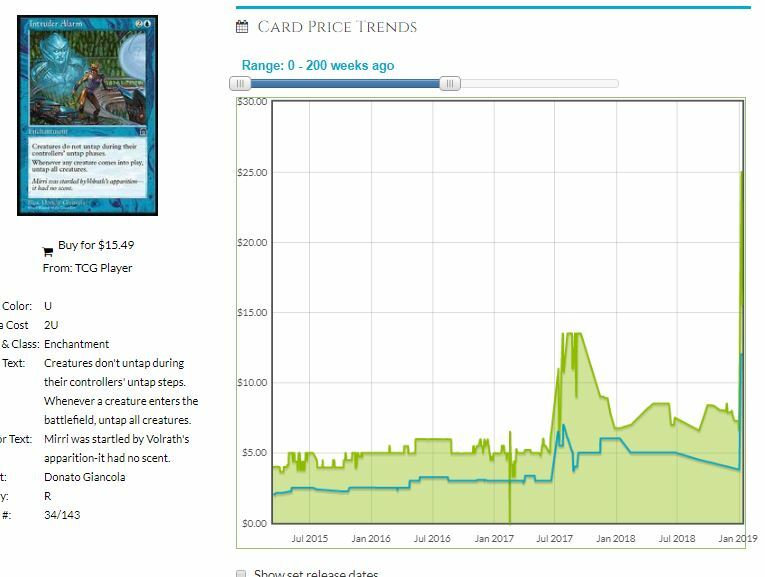 Esper looks dominating right now, and I think she’ll see just enough play to stay about this price. Now this is more like it. I think this version of Dovin is underpriced, given how well he’ll play into what UW wants to do. You’re going to need a good aggressive deck against him, and the way his plus plays with the token generating is a very elegant design. I think we’ll see him delaying all over the place, enough to bump him up to $20. A little bit of a bummer, but I think there’s a decent deck to be made around his ability…but not a top tier deck. Commander goodness all the way, and he’ll keep this price for quite some time. My instincts all say that this is a bad card for Standard but the purest of Commander gold. 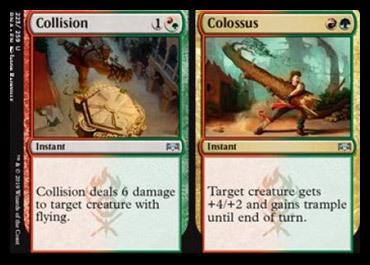 It’s slow, weak, and constrictive in Standard, but if built around, can be totally busted in the two most busted colors in Commander. That’s not a recipe for a $20 card, more like a solid $10. Our graph can barely show the recent spike to $25! Four mana, 4/3 flyer, can have vigilance and deathtouch, is an Angel, but most importantly, has Afterlife of THREE. So it’s a good size flyer with Spectral Procession built in afterwards? Holy hell. That’s pure, sweet, addictive value. It’s cheap, and not legendary, so a deck can play the full set. This has a lot of potential to climb, but lacking that fourth toughness in the land of the Phoenix is a very real drawback. I honestly don’t know what will happen. A spike to $20 wouldn’t shock me, nor would a slow fall to $4. Seven mana is a lot, even if you can do this as an instant, or get your mana back in a permanent. If you could cast a wrath off this card I’d be more interested, but it’s already low and people aren’t biting. Yes, it’s a Timetwister effect and those are quite rare, but only the most steely of control decks are going to cast this after running their opponent out of resources. Will be bulk. While I love this, you’re not winning until a couple turns after you cast it, and even then it’s not a total given. Aggro decks have some much better choices as finishers, and while it’s funny in Commander, once you survive the three effects, this does nothing. Another bulk. I got into a big talk about this card during GP Oakland. It just seems so un-mythic-like for its mana cost. This is the big Gruul finisher? Somberwald Stag could fight at five mana, Reclamation Sage has the destruction at three. Yes, you’re being flexible and that’s nice, but you’re not getting a lot of stats out of your six-mana mythic. Underwhelming in price and abilities, though this might bump after Field of Ruin rotates out. Oh yes indeed, this is a card. Go ahead and counter it–I already drew and gained from it anyway. This is a superlative card, one that’s going to see a lot of play. $12 is too low. I’m expecting that it’ll drop a little and then start to climb as people figure out how good it is. By next Christmas, this is back up to $20, maybe even more.